Xshell - download in one click. Virus free. Download the latest version of Xshell with just one click, without registration. It is a standalone setup package that contains the full offline installer for Xshell. Sometimes programmers and ordinary computer users understand the urgent need for remote control of another operating system. To take such control in a secure way, people usually use special protocols such as Secure Shell (SSH), SFTP, TELNET, RLOGIN, or SERIAL. All of them allow users to run commands on a machine's command prompt from a distance and all they need their own client applications to work with a server. Fortunately, today there is a program that supports all protocols mentioned above and serves as a single client - Xshell. Xshell offers many options that are not available in other terminal emulators. For example, the drag-and-drop way of uploading Zmoden files and downloading Zmodem files by selecting different parameters. 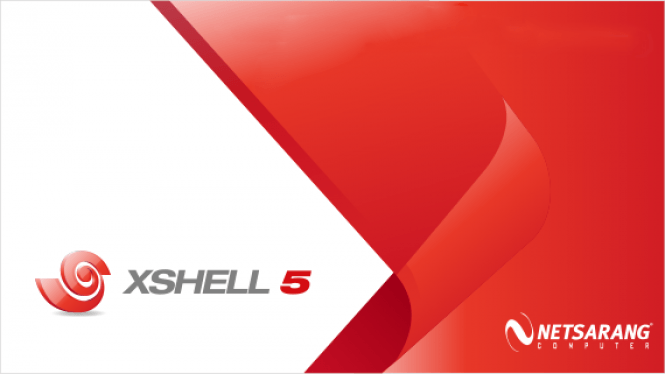 The latest version of Xshell (v.5) also demonstrates some new opportunities and considerable improvements. Xshell introduces a very flexible tabbed environment. Each Xshell window can be split horizontally or vertically to display multiple terminal sessions in a single window. Remarkably, the new Xshell now provides its users with the IPv6 support and more convenient support for MIT Kerberos authentication. The developers of Xshell also represent us with the new input redirection feature. The option allows for typing simultaneously in selected terminals. It's amazing! For those who care more about security, Xshell has designed a system that encrypts all passwords and passphrases before saving them to a file. The master password adds an extra layer of security as well. 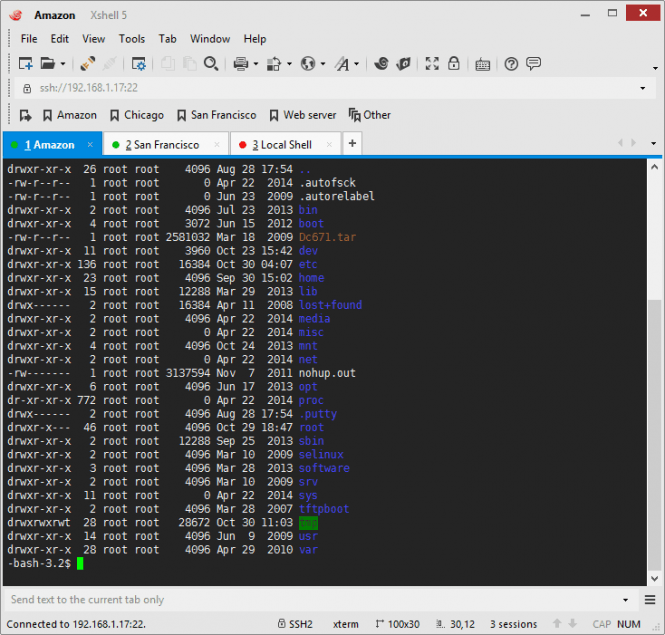 All in all, Xshell is a powerful terminal emulator that supports encryption and user authentication for a secure Internet connection. Xshell offers a wide variety of functions in all aspects: terminal, security, session management, file management, interoperability, local command, appearance, tunneling, etc. Supports SSH1, SSH2, SFTP, TELNET, RLOGIN, and SERIAL protocols. 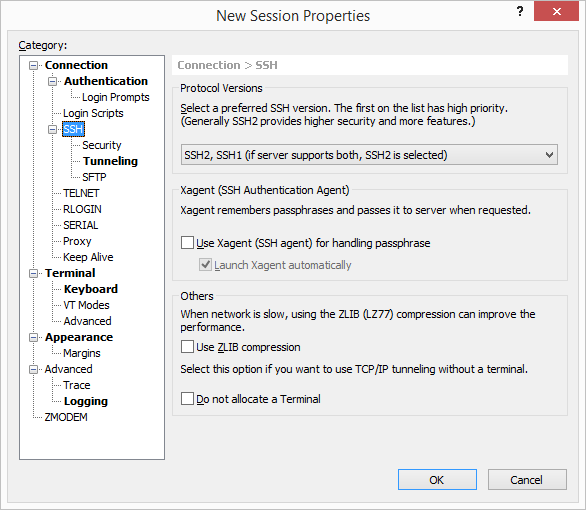 Supports OpenSSH and ssh.com servers. Provides IPv6 support and MIT Kerberos authentication support. Allows to have multi-tabs in a single window. Supports VB, Perl, Jscript scripting. Has a custom key mapping. Displays multiple languages in a single screen. Provides a default session for a quick connection. Limits: Home and School License has no limitations on the use of Xshell 5.